This fourth edition of David P. Forsythe's successful textbook provides an authoritative and timely analysis of the place of human rights in an age of upheaval in international politics. Human rights standards are examined at the global, regional and national levels, with separate chapters on transnational corporations and advocacy groups. Completely updated and revised, the fourth edition takes account of new sources and recent scholarship, as well as recent events, such as the Syrian war, the rise of ISIS, refugee flows, South Sudan crises, and the resurgence of nationalism. A new chapter has been added on the media and human rights, covering both traditional and social media. Examining attempts to protect human rights by various actors, such as the United Nations, the European Union, transnational corporations, and the media, the book stresses that the open-ended fate of universal human rights depends on human agency in this context. 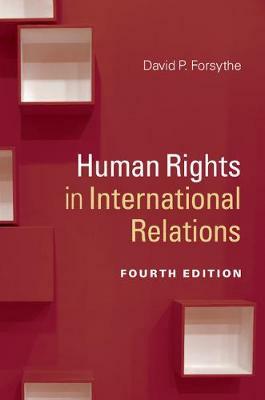 Containing further reading suggestions and discussion questions, this textbook is a vital resource for courses on human rights in an international context.